The second communication of the survey deals with two subfamilies of the family Lyonetiidae: Lyonetiinae and Bedelliinae. 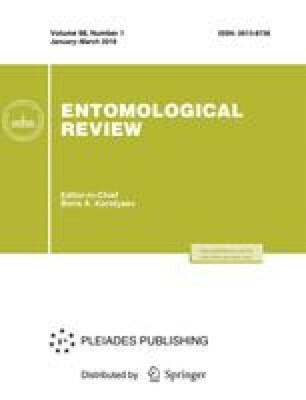 The genus Phyllobrostis Stgr., not found in Russia hitherto, was earlier referred to the subfamily Cemiostominae (Seksyaeva, 1981, 1994), but now many authors include it in the subfamily Lyonetiinae (Karsholt and Razowski, 1996; Leraut, 1997). It is considered here within the latter subfamily, being mentioned here since findings of its representatives may be expected in Russia. The annotated list of Lyonetiinae and Bedelliinae of the fauna of Russia includes eight species from three genera. Original Russian Text © S.V. Baryshnikova, 2007, published in Entomologicheskoe Obozrenie, 2007, Vol. 86, No. 2, pp. 416–423.